#currentlyreading – Anne of Green Gables by L. M. Montgomery. I’d watched the show on Netflix (Anne with an E) and loved it! So, of course, I had to read the book as well. I never had and didn’t own it neither. I already put the book in the basket on Amazon, so I wouldn’t forget about it, but I wasn’t planning on getting it. Then, Saturday, it suddenly arrived on the doorstep. Turns out, the boyfriend wanted to surprise me (and definitely succeeded). Don’t you just love the cover!? Some of the dialogue on Netflix comes word-for-word from the book. I love it! I’ve only read the first two chapter so far though. Switzerland in May – tropics and snowy mountains it’s all in a day trip. I love this book so much! This is one of my favorite editions of the book too. So lovely. 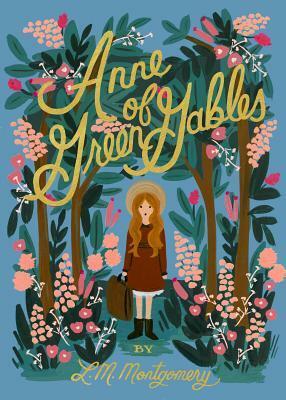 I really enjoyed Anne with an E. If you ever get a chance, check out the 1985 version of Anne of Green Gables. It’s a classic. Happy reading!